You will probably look at the picture above and respond with a collective “huh?” – I know I did. It is not often that you see coach-builders take on storied brands like Mercedes-Benz, but that is exactly what Galpin Auto Sports have done (they also did the Mustang-based, Henrik Fisker-designed Rocket). Inspired by the Mercedes-Benz W111/W112 “Fintail” models, the coach-built special is based on the latest W222 S-class chassis and uses elements from the SLS (front, rear lights) to evoke the S-class’ great-great-grandfather. What do you think of the 600 Royale? Mercedes-Benz does a great job with their new luxury cars, but this looks like something Mitsuoka would produce. Blasphemy. I have to agree with you, Losange. This thing is hideous, and the link with Mitsuoka is indeed quickly made: putting a retro grille on a modern car. But I guess for some people it’s more important to be driving something exclusive and custom made than something good looking. 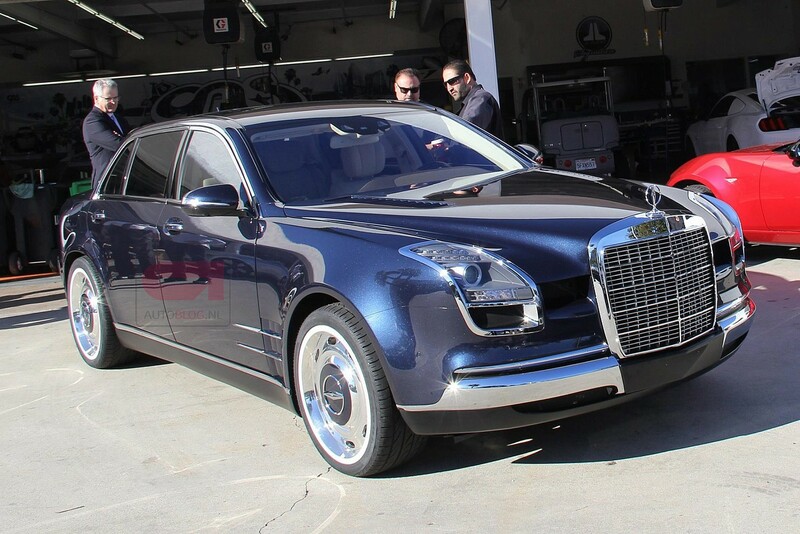 I Love This S 600 Royal Mercedes Benz . 80.000 miles on engine. Body rotted out .